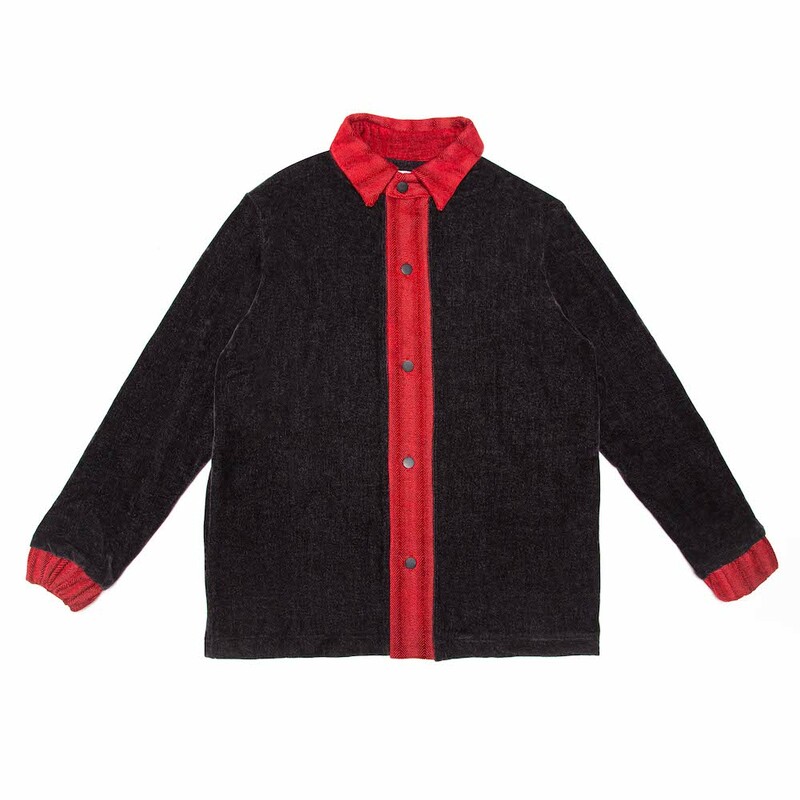 A button down dinner jacket in collaboration with Cape Town creative studio, MUTI. 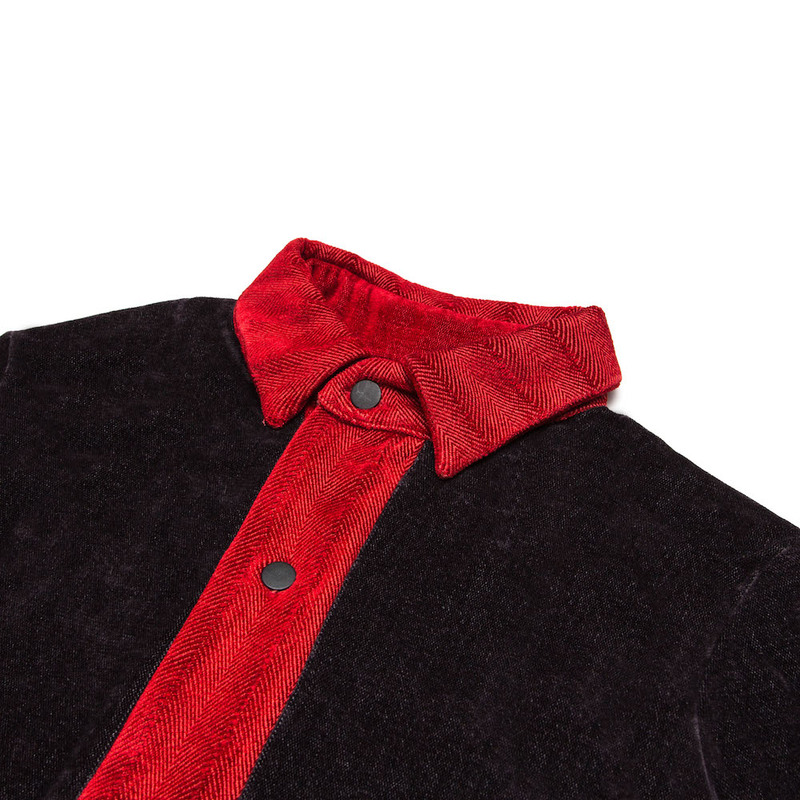 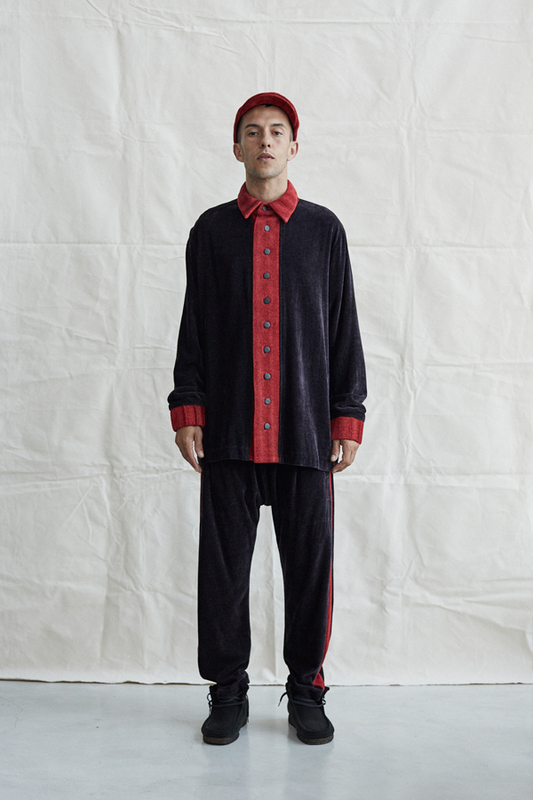 Featuring embroidered back detail, and contrasting cuffs, collar and button stand. 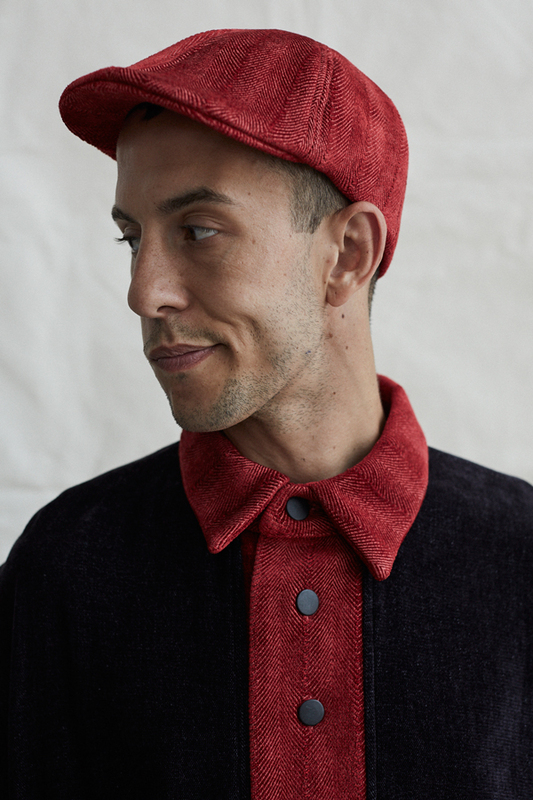 Manufactured from luxury fabrics milled by South African heirloom textile mill, Mungo. 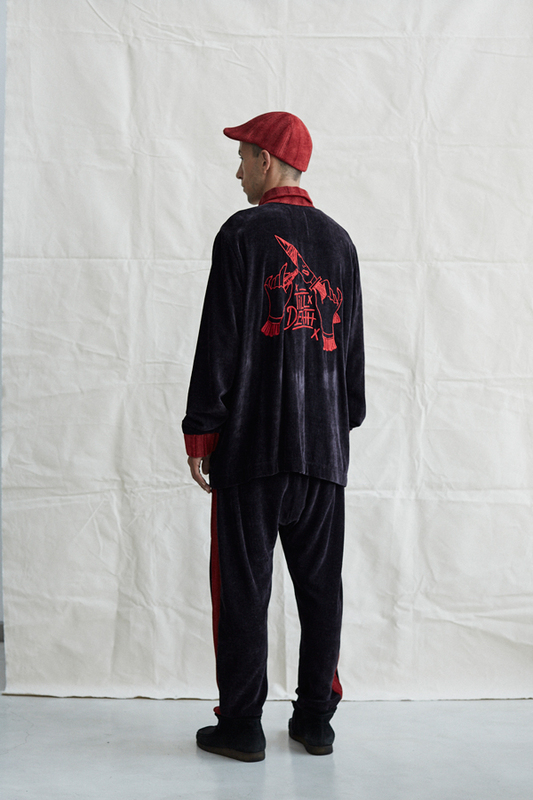 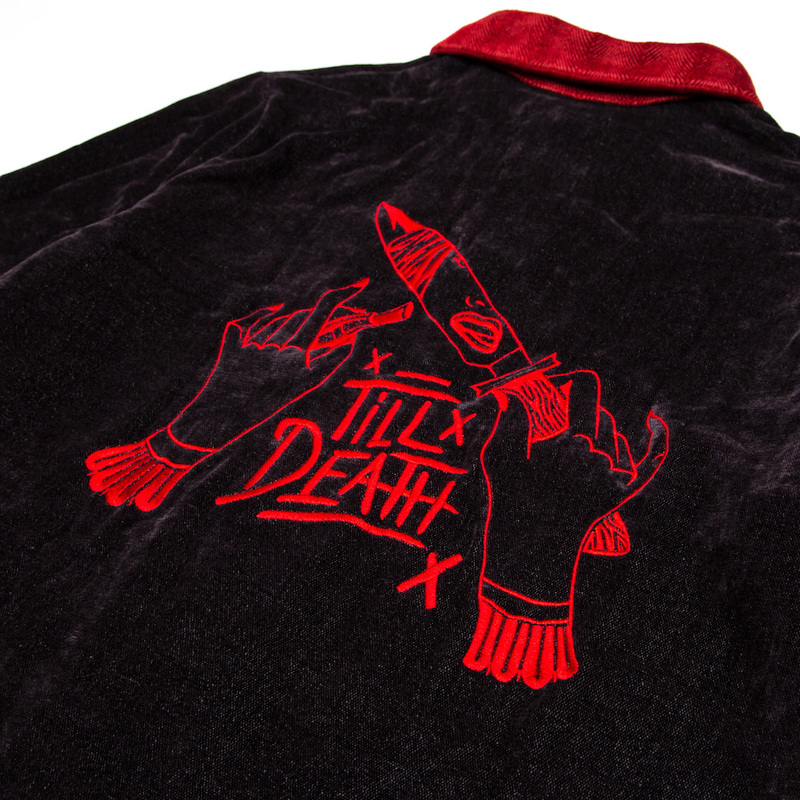 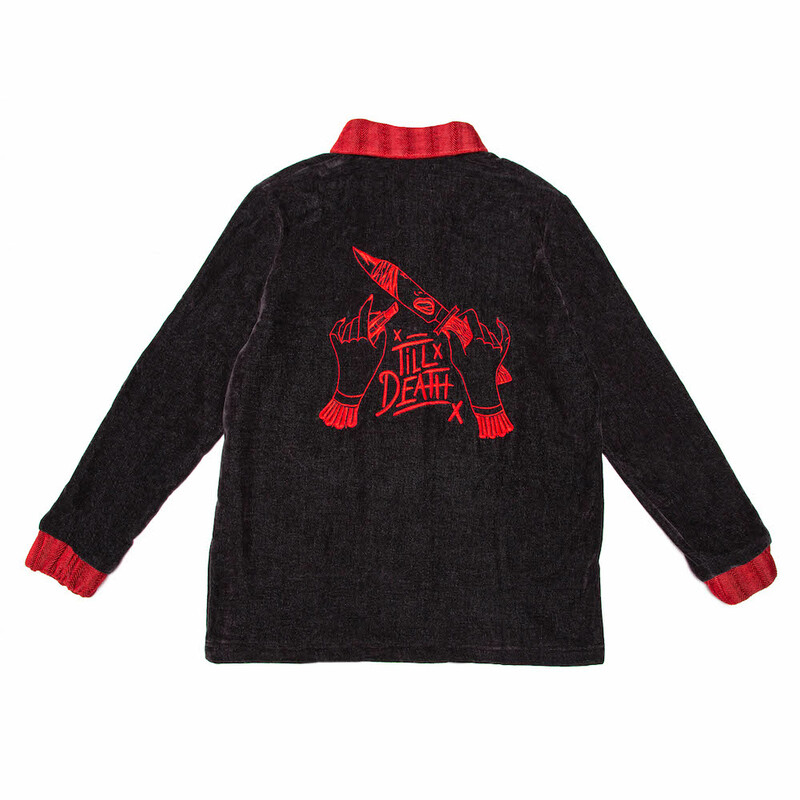 Notify me when Small 'Till Death' Dinner Jacket - Good Good Good x MUTI is available.